Try our Pay as You Go Magento maintenance and development service, if you need to complete the project or get assistance with managing your Magento website. Plumrocket Inc. offers great website maintenance and web development services on a pay as you go basis. There are no long term commitments with just slightly higher rates compared to the monthly subscription plan. It is an easy-to-use and fast way to have your Magento web development, custom Magento design, installation and/or configuration problems solved. Note, no matter what you need – a site logo, banners, landing pages, Magento extension customization, Magento theme design etc. – we will do our best to satisfy your expectations and complete the work within the determined timeline. Feel free to ask our sales department for a free quote before making your purchase and you will get our professional help. The cost of support will vary depending on your subscription hours (see table below). * Your unused "pay as you go" hours will last for 3 months from the date of purchase. * Maintenance requests received after 6:00pm CET may not be answered until the next business day. Onur Eren posted on March 22, 2019. We received information about how the time would be spent in advance, and the received support in accordance with our expectations. We had a few additional requests and they were taken care of as well. Vinayagam Rajha posted on February 27, 2019. When I started seeing the plugins on plumrocket store, most of the plugins are matching my needs but I need some tweaks on this. When I contacted, they approached to purchase the "Pay as You Go - Support Service". Using more than 11 extensions from you are great. Now, my website looks more competitive. I also want to say that I have an issue with installations which you fixed it for me right away, I truly appreciated it. In the future, I have the plan to buy more extensions & customizations from Plumrocket in the future and I strongly recommend this company based on their products and exceptional customer service. SalvatoreTurner posted on January 25, 2019. Plumrocket did a great job developing our website. I can’t say enough how knowledgeable their team was. They really do listen to their clients and deliver a high-quality service. Everything from the initial conversation to the final roll out was great. I would highly recommend Plumrocket services to any business! Rakesh Kumar posted on November 26, 2018. DELLA ROCCA S.R.L. posted on October 29, 2018. Plumrocket created a custom module to support my shop template. They are really an awesome support, pretty fast and not expensive. I will recommend to everybody! Siam Case posted on June 29, 2018. Great Service. They're fast and reliable. If you want to custom your extension or theme. I recommend. Love it. Thank a lot. Keep up your best work. I will come back for sure. If i need any extra. Mihai Vlad posted on February 19, 2018. Simone Wright posted on January 05, 2018. Just want to say thank you for your level of customer service support and your quick turnaround time. The magento extensions I bought from you are great. They make my website look more competitive. I also want to say the slight issue that I had with one of the extension you fixed it for me right away, I truly appreciated that. I will definitely buy more extensions & customizations from Plumrocket in the future and I strongly recommend this company based on their products and exceptional customer service. Rodiney Moraes posted on August 26, 2017. We have 15 extensions of Plumrocket! It means it works, it's customizable, affordable and of course, fantastic support that knows what it does. Thank you all and we are looking forward to new modules! Fixed the issue perfectly, whereas many other companies struggled! Albert Gobuket posted on June 23, 2017. Thank you very much guys for the patience, cooperation and of course solving the problem!!! Definitely recommend this service, because I tried on Fiverr and Upwork to find the right guys, but no luck!!! You nailed it guys, thanks again!!! Alex Berretta posted on April 24, 2017. My experience with Plumrocket has been very good. We purchase a few of their extensions for our Magento EE version 1.12.0.2 installation. Their communication and follow ups were on point, and they worked out many conflicts with Varnish and other extensions.All in all, I found their documentation to be very detailed and thorough, as well as their development practices. Yann Waterson posted on February 21, 2017. Yap Sunrise posted on January 07, 2017. I had the pleasure to work again with PlumRocket on my project. PlumRocket team is very fast and resolved all my requests. Bill Daniels posted on January 06, 2017. Their ability to customize Plumrocket extensions we purchased is impressive. We will use them again. Patrick Christensen posted on December 30, 2016. Xavier TIREL posted on December 23, 2016. Really great and responsive service! Prabakaran Ramiah posted on December 21, 2016. Hendrik Jan Marinus Klomp posted on September 29, 2016. Andrew Vernon posted on September 19, 2016. Husain Alkhulaif posted on June 27, 2016. I had the pleasure to work again with PlumRocket on another project. No doubt, result is amazing. I like their flexibility with requirnment tweaks and problem solving. Eugen Sipos posted on June 16, 2016. The Plumrocket team made a very good job and they have solved the problem for which we have used this service. Sven Kersten posted on April 07, 2016. There was a problem with another 3rd party extension conflicting with Ajax Cart. They solved it within one hour! It saved me a headache! Thanks guys! Eun Kim posted on April 04, 2016. They always work on time. Great service. Thank you. DEAN FLEET posted on March 10, 2016. The staff are very knowledgeable and work very fast. Had a few issues and they were all sorted within 24 hours. John Jacques posted on February 13, 2016. I really like the "pay as you go" plan so I don't over pay for service or underpay and not get the job done. 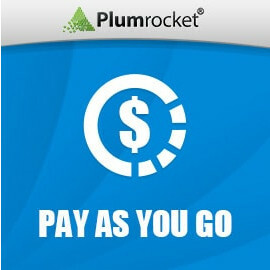 I felt with the last minute adjustments I needed to my work, and not having to pay more was very generous of Plumrocket. I'm going to use them again. I give 'em 2 thumbs up! Juan Carlos Navarro posted on January 06, 2016. I´ve contacted the Plumrocket support team and they have answer to my support request within 24h. They've solved the issue and their answer is really well documented. I´m very proud to count on their support. Replied within the hour, solved with the next! Blue Horizon posted on November 04, 2015. Exceptional service and communication, I have listed Plum Rocket on our list of approved companies, in fact they are the only Magento Approved Support and Supply company! We had looked at a number of companies who offered Magento Support and with their open pay as you go and full monthly support as well as good reviews and some great extensions, we chose them, and very glad we did. sky boulton posted on October 30, 2015. I enjoy working with the team. The communication is good, the service is prompt, and they understand our needs and goals. We've worked on projects of scopes from implementing site wide templates to development of custom processes. Calum Roberts posted on October 15, 2015. Engaged to create a custom page and this was done fairly quickly. This created a great addition to our store. Will be considering them for some more small jobs to be done on our website. Osamu Yoshihara posted on October 07, 2015. Plumrocket is the best Magento developer I've ever known and I've worked with. They resolved complex issues that the other developers didn't find out the solution. I deeply appreciate they always so helpful and informative. I will definitely use this support again for sure. Nick Marra posted on August 18, 2015. Wow - a dream to deal with this company and their support. A rare find in the world of magento extensions. Highly recommend! RADU BOGDAN PAHOMI posted on August 06, 2015. I have purchased Magento Private Sales Script, an amazing solution for our needs. The theme and the entire solution is very sophisticated. You can do so many customizations. I totally recommend this extension. Also, the support is great. Every issue gets solved in no time. Claudio alfieri posted on July 30, 2015. The support is really awesome both for fixing and developing. And the excellent service is performed in few hours after ticket opening. Thanks again for patience and competence. Cristian González posted on May 18, 2015. Estoy totalmente encantado con el servicio recibido..
Han sido muy profesionales y siempre me han atendido muy rápido. Siempre le han dado máxima prioridad a mis solicitudes. Totalmente satisfecho. Goodfield posted on April 21, 2015. I'm very satisfied and highly recommend Plumrocket. Although I've been working with other Magento developers, only Plumrocket was able to resolve my request. Sales person was never late to reply to my message. Their skills and knowledge are also incredible. Etienne Mak posted on February 16, 2015. Theodor Brockweber posted on January 07, 2015. Ten stars for plumrocket. We know plumrocket company for excellent support and excellent programming. Ryan So posted on November 25, 2014. The Plumrocket devs helped me customize some plugins. Vadim and his team have great response time and do amazing work! Ivan Stoev posted on November 08, 2014. Plumrocket support team is great. I worked with other companies, but this guys are very fast and resolved all my requests. I will use them again for sure. Nick Dawler posted on October 28, 2014. Hi all! Just wanted to drop a few lines about this service. We use it when we have something that is broken or needs to be done ASAP (usual thing, huh?). With Go plan these developers always did the changes immediately. Believe me, I mean it. Go for it if you need quick fixes or improvements done in no time. Brian Heying posted on September 23, 2014. When I've had technical issues that required I purchase support hours, Plumrocket has been tremendously quick and efficient with fixing any issues. I find this option to be very convenient and affordable. TRUONG SON VU posted on September 05, 2014.
wendy williamson posted on September 03, 2014. When I have specific tasks with deliverables, i always come back to plum rocket because they will advise me on what i'm trying to complete. They're fast and reliable. They understand when a task is urgent.